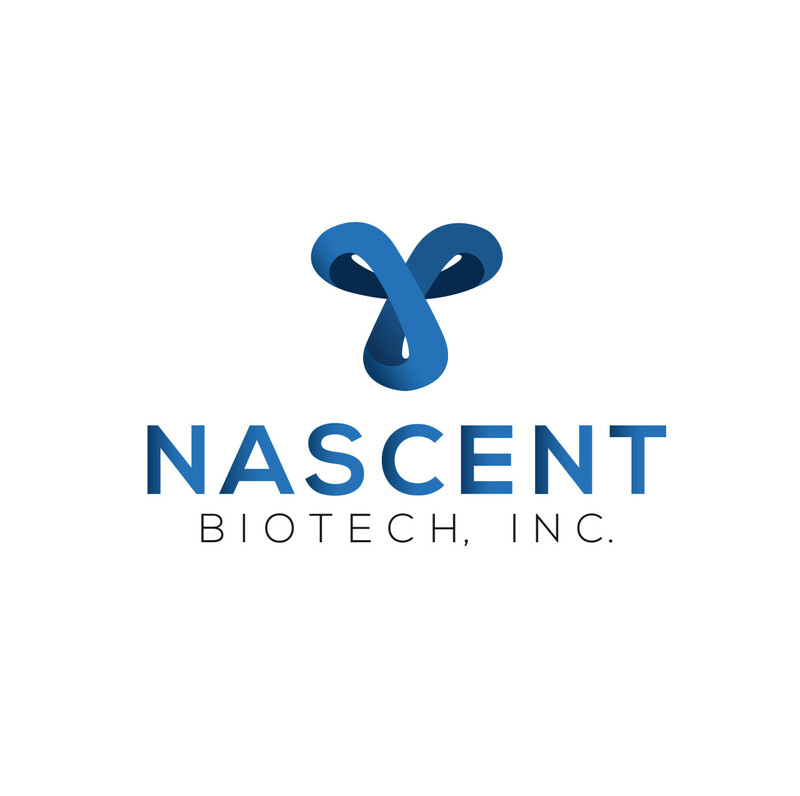 Vero Beach, FL December 10, 2018 – Nascent Biotech, Inc. (OTC: NBIO) Received US Food and Drug Administration (FDA) Clearance to begin Phase 1 Clinical Trials effective December 7th, 2018. Nascent CEO Sean Carrick stated, “On Friday December 7, 2018, Nascent Biotech received a letter from the FDA moving the Company’s IND filing from Full Clinical Hold to Partial Clinical Hold, which frees the Company to immediately begin Phase 1 Human Clinical Trials with its present drug lot.” “There are additional product testing criteria required by the FDA, which we believe are very achievable and have already begun to respond,” stated Executive Vice President Dr. Brandon Price. Nascent Biotech, Inc is a clinical-stage biotech company engaged in the development of monoclonal antibodies to be used in the treatment of various cancers with an Investigational New Drug (IND) application cleared by the FDA for Phase 1 clinical trials. Its products are not commercially available. For further information please visit our website www.nascentbiotech.com. Statements in this press release about our future expectations constitute “forward-looking statements” within the meaning of Section 27A of the Securities Act of 1933, Section 21E of the Securities Exchange Act of 1934, and as that term is defined in the Private Litigation Reform Act of 1995. Such forward-looking statements involve risks and uncertainties and are subject to change at any time, and our actual results could differ materially from expected results. These risks and uncertainties include, without limitation, Nascent Biotech Inc’s ability to target the medical professionals; Nascent Biotech Inc’s ability to raise capital; as well as other risks. Additional information about these and other factors may be described in the Nascent Biotech Inc’s Form 10, filed on October 28, 2014, and subsequent filings with the Securities and Exchange Commission. The Company undertakes no obligation to update or release any revisions to these forward-looking statements to reflect events or circumstances after the date of this statement or to reflect the occurrence of unanticipated events, except as required by law. Vero Beach FL, August 10, 2016 – Nascent Biotech, Inc., (“Nascent” or “the Company”) (BB: NBIO) is pleased to announce that through the non-dilutive funding recently received, it has paid nearly $1.7 million in payables and debt, plus created positive shareholders equity. NBI is a biotechnology company developing human Monoclonal Antibodies (mAb’s) for immunotherapy of cancer. Its lead therapeutic candidate, Pritumumab, was the first human antibody ever developed to treat a cancer patient. The company is now developing a new clinical protocol and Initial New Drug (IND) package for commencement of new clinical trials to be conducted in the United States under the guidance of the US Food and Drug Administration (FDA). This news release contains “forward-looking statements” as that term is defined in the United States Securities Act of 1933, as amended and the Securities Exchange Act of 1934, as amended. Statements in this press release that are not purely historical are forward-looking statements, including beliefs, plans, expectations or intentions regarding the future, and results of new business opportunities. Actual results could differ from those projected in any forward-looking statements due to numerous factors, such as the inherent uncertainties associated with new business opportunities and development stage companies. We assume no obligation to update the forward-looking statements. Although we believe that any beliefs, plans, expectations and intentions contained in this press release are reasonable, there can be no assurance that they will prove to be accurate. Development planned for multiple Epithelial Cancer Types, starting with brain cancer, in Mainland China. Taizhou, Zhejiang Province, China & Vero Beach, FL USA.- Nascent Biotech, Inc. (OTC: NBIO), and Zhejiang Hisun Pharmaceutical Company Ltd., today announced they have entered into an exclusive licensing agreement for the development and commercialization of Nascent’s primary asset, Pritumumab, a monoclonal antibody for the treatment of epithelial cancers (which include brain, pancreas, colon, lung and breast), in mainland China. The agreement between the two companies licenses development, manufacture and commercialization rights for Pritumumab to Hisun, for the treatment of epithelial cancers in China. Under the terms of the agreement, Nascent Biotech will provide to Hisun its Master Cell Bank and related technology, which will allow Hisun to quickly begin manufacturing and further clinical development of Pritumumab in China. “We are confident that this license agreement will allow Hisun to rapidly fill an unmet need in the cancer space while enabling Nascent to continue to advance this valuable asset in the US. Both companies will benefit greatly from this License arrangement,” added Dr. Haibin Wang, Senior Vice President, Head of Hisun Biopharmaceutical. With Revenues over $2 Billion annually, Hisun was founded in 1956, the vision of Zhejiang HISUN Pharmaceuticals Co., Ltd. (stock code 600267 – hereinafter called “HISUN”) is to become “a widely respected international pharmaceutical company” by advancing its mission of “persisting in pharmaceutical innovation for the benefit of human beings.” It focuses on the integration of pharmaceutical research and development (R&D) with production resources in order to provide its global customers with outstanding products and services. Visit http://www.hisunpharm.com/. Nascent Biotech, Inc is a clinical-stage biotech company engaged in the development of monoclonal antibodies to be used in the treatment of various cancers. Its products are not commercially available. For further information please visit our website www.nascentbiotech.com. Statements in this press release about our future expectations constitute “forward-looking statements” within the meaning of Section 27A of the Securities Act of 1933, Section 21E of the Securities Exchange Act of 1934, and as that term is defined in the Private Litigation Reform Act of 1995. Such forward-looking statements involve risks and uncertainties and are subject to change at any time, and our actual results could differ materially from expected results. These risks and uncertainties include, without limitation, Nascent Biotech Inc’s ability to target the medical professionals; Nascent Biotech Inc’s ability to raise capital; as well as other risks. Additional information about these and other factors may be described in the Nascent Biotech Inc’s Form 10, filed on May 2, 2015, and future subsequent filings with the Securities and Exchange Commission. The Company undertakes no obligation to update or release any revisions to these forward-looking statements to reflect events or circumstances after the date of this statement or to reflect the occurrence of unanticipated events, except as required by law. Vero Beach, April 25th, 2016 – Nascent Biotech, Inc., (OTC.NBIO) is pleased to announce that it has been granted Orphan Drug Designation from the Office of Orphan Products Development of the FDA for its Pritumumab product for the treatment of Pancreatic cancer. According to Industry statistics, there are approximately 49,000 new cases of Pancreatic Cancer in the United States, annually, with a five year survival rate of 7% and few viable treatment options. This is the second Orphan Drug Designation Granted to Nascent Biotech from the FDA, the first being for use in Primary Brain Cancer. Vero Beach, FL April 14, 2016 – Nascent Biotech, Inc. (“Nascent Biotech, Inc.” or “the Company”) (OTC.NBIO), announced today that Doug Karas, Vice President of Performance Analysis & Investment Risk at Franklin Templeton Investments, has joined its Board of Directors. Mr. Karas is a Certified Public Accountant and has extensive accounting, auditing, finance and consulting experience. He will lend similar guidance while serving on Nascent Biotech’s BOD. Nascent Biotech, Inc is a clinical-stage biotech company engaged in the development of monoclonal antibodies to be used in the treatment of various cancers. Its products are not commercially available. For further information, please visit our website: www.nascentbiotech.com. Statements in this press release about our future expectations constitute “forward-looking statements” within the meaning of Section 27A of the Securities Act of 1933, Section 21E of the Securities Exchange Act of 1934, and as that term is defined in the Private Litigation Reform Act of 1995. Such forward-looking statements involve risks and uncertainties and are subject to change at any time, and our actual results could differ materially from expected results. These risks and uncertainties include, without limitation, Nascent Biotech Inc’s ability to target the medical professionals; Nascent Biotech Inc’s ability to raise capital; as well as other risks. Additional information about these and other factors may be described in the Nascent Biotech Inc’s Form 10-K, filed on May 2, 2015, and subsequent and future filings with the Securities and Exchange Commission. The Company undertakes no obligation to update or release any revisions to these forward-looking statements to reflect events or circumstances after the date of this statement or to reflect the occurrence of unanticipated events, except as required by law. Vero Beach, FL, April 7, 2016 – Nascent Biotech, Inc. (“Nascent Biotech, Inc.” or “the Company”) (OTC.NBIO), announced today the addition of Dr. Ralph Zipper, MD, FACOG, FPMRS to its Advisory Board. Dr. Zipper currently is a practicing physician and COO of Biofuse Medical Technologies, Inc.
Mr. Carrick has known Dr. Zipper for approximately twenty years and encouraged Dr. Zipper to join Nascent Biotech’s already impressive group of medical professionals currently on its Advisory Board. “I recognize the significance of Nascent’s primary asset, Pritumumab, to potentially benefit multiple cancers and am honored to be contributing to Nascent’s pathway to success,” said Dr. Zipper. Statements in this press release about our future expectations constitute “forward-looking statements” within the meaning of Section 27A of the Securities Act of 1933, Section 21E of the Securities Exchange Act of 1934, and as that term is defined in the Private Litigation Reform Act of 1995. Such forward-looking statements involve risks and uncertainties and are subject to change at any time, and our actual results could differ materially from expected results. These risks and uncertainties include, without limitation, Nascent Biotech Inc’s ability to target the medical professionals; Nascent Biotech Inc.’s ability to raise capital; as well as other risks. Additional information about these and other factors may be described in the Nascent Biotech Inc’s Form 10K, filed on May 2, 2015 and subsequent future filings with the Securities and Exchange Commission. The Company undertakes no obligation to update or release any revisions to these forward-looking statements to reflect events or circumstances after the date of this statement or to reflect the occurrence of unanticipated events, except as required by law. San Diego, CA September 21, 2015 – Nascent Biotech, Inc. (“Nascent” or “the Company”) (PINK.BB: NBIO), reached an agreement with the licensor whereby the licensor will receive cash payments totalling $63,000 and 200,000 shares of the Company’s common stock plus a 1% royalty of net sales of the Company product up to $1 million in royalties. The payment will replace the $2 million obligation under the original and amended agreements. The Company believes this agreement will remove a significant concern for any future investors in the Company. Nascent Biotech is a biotechnology company developing human Monoclonal Antibodies (mAb’s) for immunotherapy of cancer. Its lead therapeutic candidate, Pritumumab, was the first human antibody ever developed to treat a cancer patient. The company is now developing a new clinical protocol and Investigational New Drug (IND) package for commencement of clinical trials to be conducted in the United States under the guidance of the US Food and Drug Administration (FDA). NDI has already received orphan drug designation for Pritumumab from the FDA for Gliomas. San Diego, CA September 17, 2015 – Nascent Biotech, Inc, (“Nascent” or “the Company”) (PINK.BB: NBIO) is pleased to announce that it has retired the $ 60,000 convertible debenture effective yesterday. The convertible debt could have potentially been converted into 6,000,000 shares of the Company’s common stock, thus diluting all the shareholders by nearly 30%. Company management felt that the debenture was a toxic debt and that repaying it was best for the Company and its shareholders.